Tender Sweet Love to your Belly when you’re Dining at Kelsey’s! January 15, 2016 ~ Trevis Dampier Sr. The first barbecue sauces were mostly butter. In “Nouveaux Voyages aux Isles d’Amerique” by Frenchman Jean B. Labot in 1693, there is a description of a barbecued whole hog that is stuffed with aromatic herbs and spices, roasted belly up, and basted with a sauce of melted butter, cayenne pepper, and sage, a popular technique from back home that probably came to the new world via the French West Indies by slaves and Creoles. The French are incapable of making anything without butter. 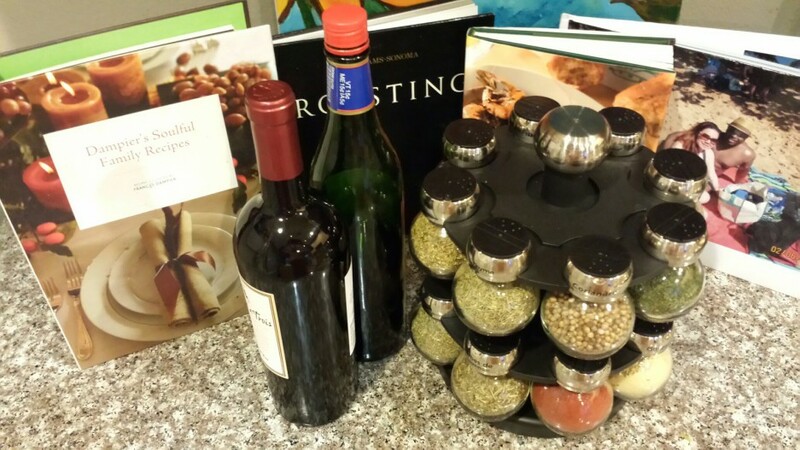 The French also were big on meat juices in their sauces, an ingredient still found in some homebrewed Texas barbecue sauces and more recently in Adam Perry Lang’s Board Sauces. The German fondness of pork with mustard resulted in the wonderful yellow barbecue sauces still popular in a band of South Carolina from Charleston to Columbia. Something about tender rich meat smothered with barbecue sauce just gets me excited in every way. Arousal in my eyes, my sense of touch, my palate, my stomach, even my sexual parts. Then you take that and mix it with collard greens, baked beans and corn bread and I’m liable to explode. 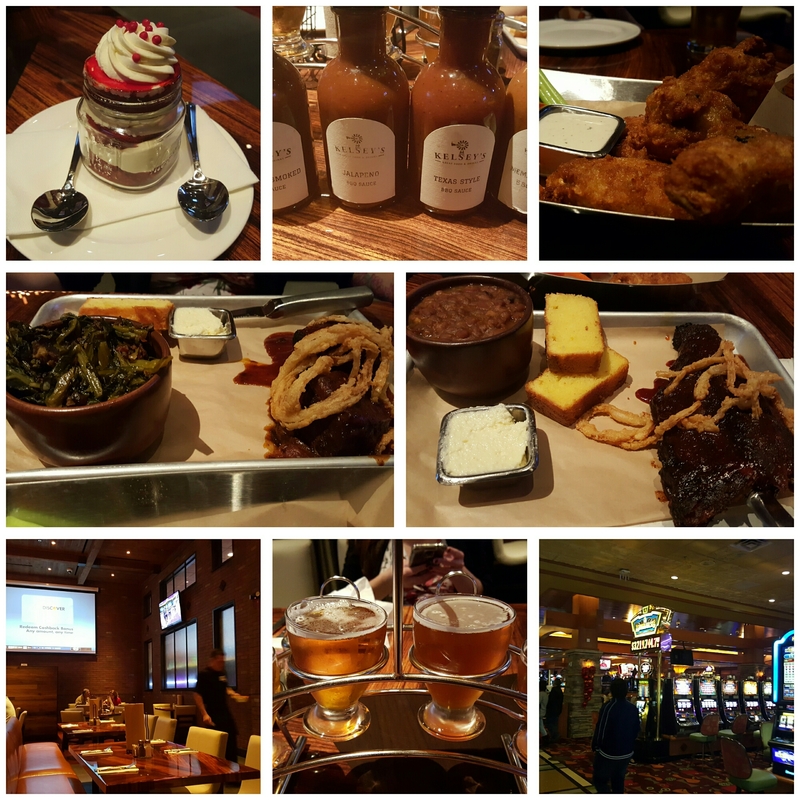 I had an awesome, memorable breathtaking experience at one of the best barbecue joints I have been to in my life and that was at Kelsey’s in the Pechanga Resort & Casino. He points us to a realm of heavenly delight called Kelsey’s. We get seated into a restaurant with TV’s galore, all kinds of beers on taps and a menu that just brings tears of joy to my eyes. Corn chowder with bacon for starters, Southern Fried Chicken Sandwiches, Catfish, Smoked Ribs, Tri Tip and much more. I thought my heart was going to burst out of my chest because of the excitement. So I ordered a beer, and not just any beer, a flight of beers. They had a decorative setting that the IPA’s arrived in, where I got my fill of all kinds of festive beer delights. Bring me some chicken wings to start off.. Some pork belly baked beans.. Some corn bread with honey.. The wings arrived and boy were they grilled to perfection..
Each bite packed a punch of Southern flavor with a little spice that perfected them excellently! Yum!! Then the waiter begins to layout about 4-5 different types of barbecue sauces to enjoy at our desire. The waiter explained all of the different sauces from Jalapeno, to Texas Style and a couple more. They are all made and created by Kelsey’s and were packed with flavor and exquisite in nature. The ribs arrived with the greens, baked beans and corn bread.. I dive into the baked beans first to get a Mike Tyson punch to my palate. Sweet and chunky, meaty and everything you could want in this dish. It tastes like it just came out of the smoker. Super tender, still moist and the sauce on top was just out of this world. As a matter fact, all of their sauces were ridiculously good! Another bite of the baked beans.. Bite of the corn bread..
My mouth is like a chipmunk right now and I am on overload..
After the explosion if that flavor arrived a Red Velvet Shot of delicious Red Velvet cake with multiple layers of frosting throughout. If you have a sweet tooth then you will be put in a comatose from this. Your body will go through chills from the impact of this tasty delight. Soft and delicate with rich flavor from the cake and frosting combined that will always be a memory you will keep in your database.True live action eating! Great job Kelsey’s! If you are in the San Diego, Ca area soon then make sure you visit the Pechanga Casino. Especially Kelsey’s! I promise you that you won’t regret it! < Previous Grab My Bib and I’m on My Way to Seafood Heaven at Crab and Cray! Next > I’m on my Knees..Begging for more Public School 213!